Integral images are 3D images with a 360 degree viewing angle. Using 3DZ Integral software, you can make virtually any 2D bitmap into a volumetric, photorealistic, 3D integral image. 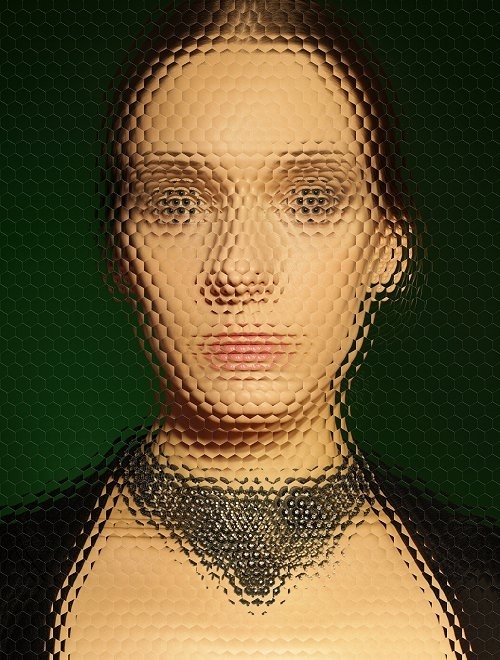 It works with depth maps, similar (but not the same) as the 2D to 3D conversion for lenticular. 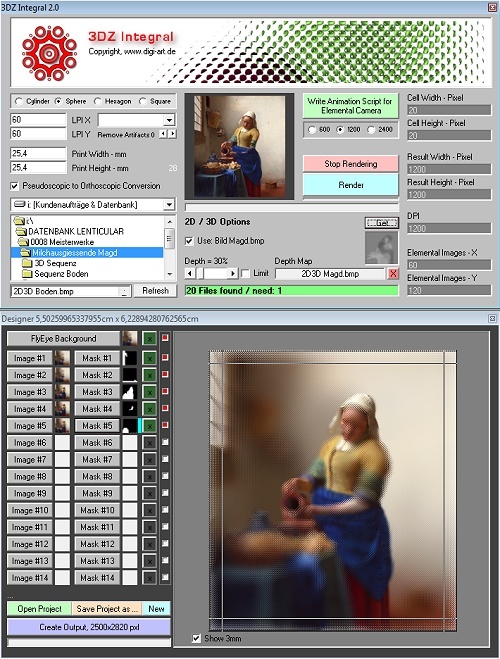 The 3DZ Integral software generates the required elemental images. 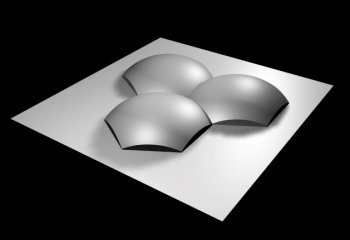 3D Integral software renders integral images for hexagonal, spherical and - as a further special feature - also for normal cylindrical lenticular lenses with only one-dimensional parallax. Integral lens films or sheets consist of a hexagonal shaped lens field. The structure is similar to a honeycomb. Under each of these lenses is a small image (a so-called "elemental image"). The small pictures below show the excerpts from the overall picture as they are visible from the respective position of the lens. 3D Integral imaging software is recommended for experts only. Support is not provided without training or prior agreement. Elemental images are not simple excerpts from the overall picture, but projections due to the optical properties of the lens. In the interplay of all properties, integral images are similar to holograms with full 360 degree spatial effect.